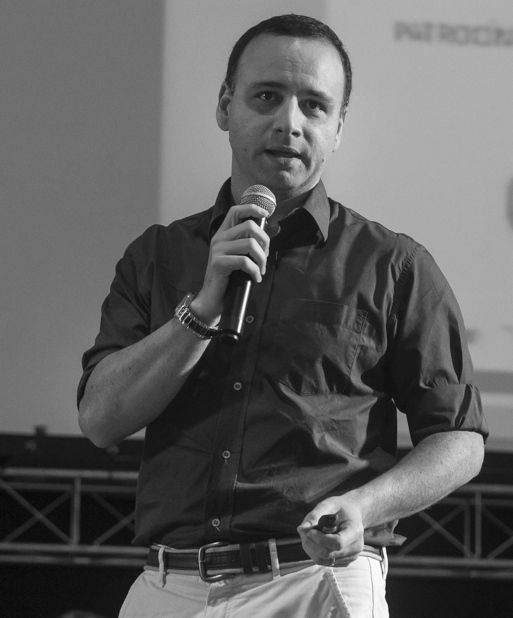 Antonio Augusto "Guto" de Aragão Rocha is Associate Professor in the Computer Science Department from the Institute of Computing at the Fluminense Federal since 2011. He received a MSc and PhD degrees in Computer and Systems Engineering (PESC/COPPE) from the Federal University of Rio de Janeiro (UFRJ) Brazil, in 2003 and 2010, respectively. During PhD, in 2008-209, he has been a visiting scholar in the Computer Science at University of Massachusetts Amherst (UMass). He worked as a post-doc researcher at UFRJ, supported by INCT WebScience. He received his bachelor's degree in Computer Science at University of Salvador (UNIFACS) in 2000. He has a Research Productivity Fellowship granted by CNPq (since 2014). His areas of interest include performance evaluation, traffic engineering, network measurement, next generation Internet, network science and security systems. Dr. Antonio Rocha has published many papers in important journals and conferences and his work has received a few awards. This topic focus on proposals that attempt to make the future Internet architecture a solution really scalable, robust, secure and, why not, fully oriented to content and context. This topic involves the evaluation of the performance for different network seeding strategies over different network models, especially in social network. This project aims on developing techniques to detect BT users cheating the system (e.g., operating in a streaming mode) and evaluating the performance of the swarm in the presence of such entities. Consider a really large system, e.g. an extremely popular swarm in BT. A fundamental question is, how to estimate its real size from outside? The project tries to answer this and other related questions. This project aims to develop new passive and active measurement techniques and/or methods which help to understand better how the Internet behaves. Swarms with high peers arrival rate and limited publisher capacity might be unstable (i.e., # of peers increasing unboundedly). Is it possible to mitigate this effect changing the Publishers operational mode? Can we identify actual swarms in such state?